(Video 01/25/17) January is the optimum time to plant trees in Louisiana, and the reason Arbor Day is held this month. 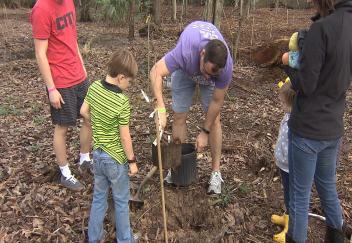 More than 150 people came to help reforest an urban woodland in Baton Rouge decimated by a hurricane. LSU AgCenter reporter Craig Gautreaux has the story.